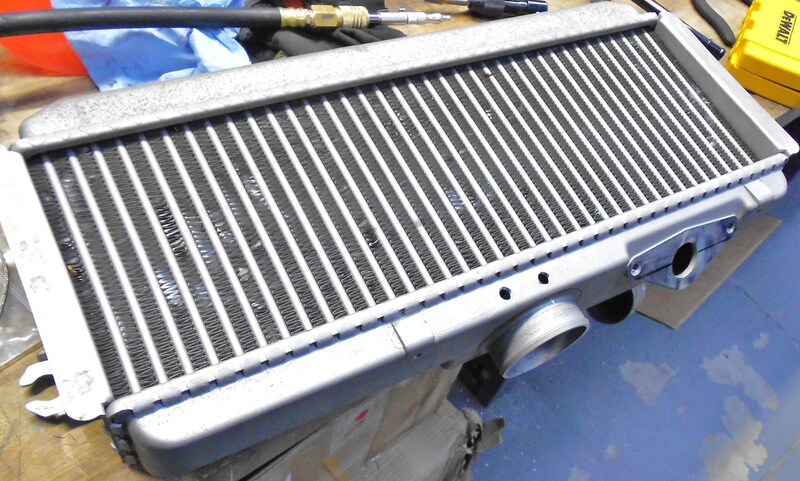 Interested in purchasing our STI intercooler? Check out our product page for more information! Testing day! After a long ride through development and design, it was finally time to see the fruits of our labor. 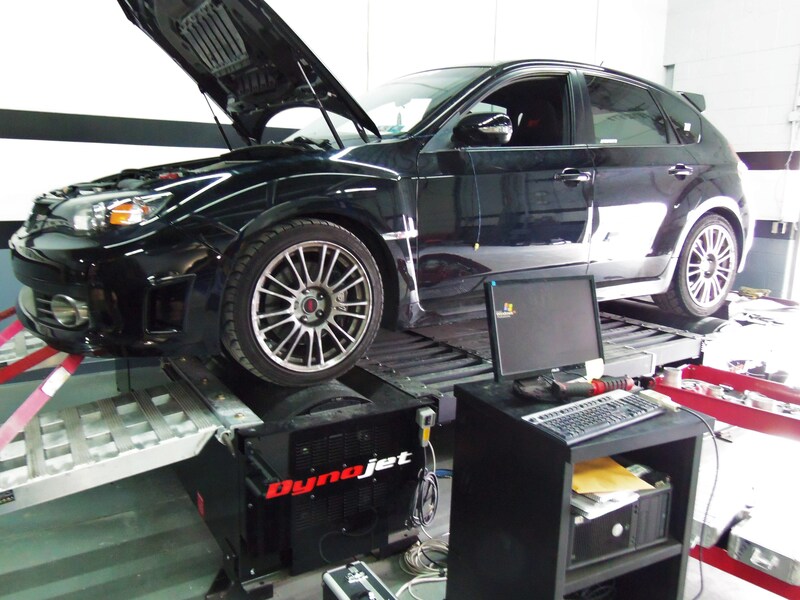 Before strapping the STI to the dynamometer, we needed to prepare the coolers for testing. This included drilling and tapping the coolers for our temperature and pressure sensors at both the inlet tank and outlet tank. Check out a few preparation shots of our stock cooler! Next up is the Mishimoto cooler. For testing we used our powder-coated cooler rather than the raw aluminum unit. (The finish has little to no effect on performance.) This version of the cooler is identical to what we have planned for mass production, assuming our testing is successful. Time to get this guy onto the dyno and start making a few pulls. 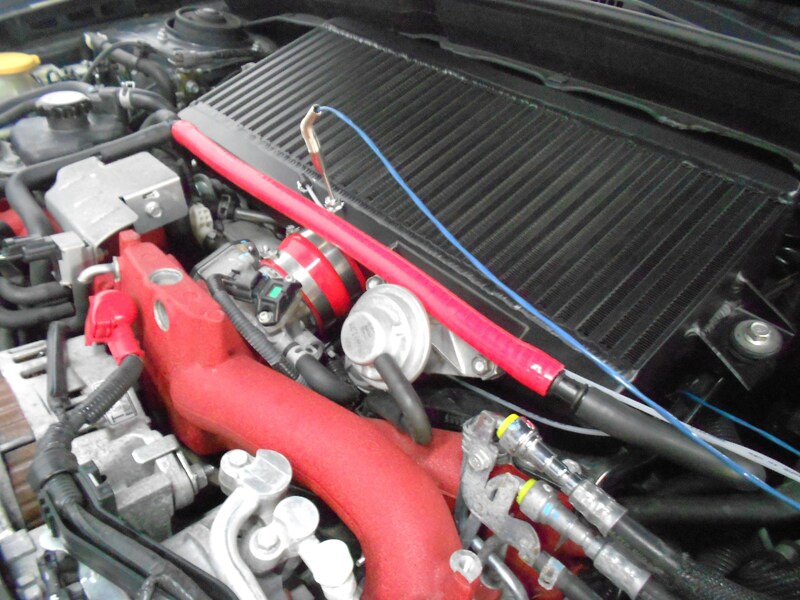 We then strapped the vehicle down and set up our top-mount intercooler (TMIC) fan. Next, we performed pulls on both the stock intercooler and the Mishimoto prototype. Three to five pulls were made with each cooler or until we obtained three consistent runs that could be averaged. Breaks between each pull were timed to ensure accurate data. You didn’t think we would make a bunch of dyno pulls without capturing video, did you? Check out this quick video that includes a few pulls with each cooler! Time to review our data! First we took a look at some of the comparisons of the stock intercooler to the Mishimoto unit. A few easy-to-view charts put the gains into perspective. 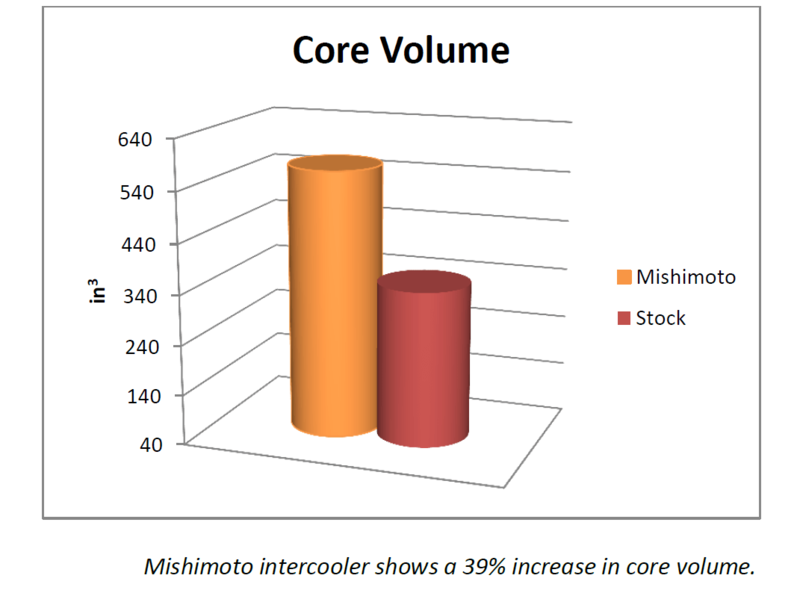 Both the internal flow area and core volume of the Mishimoto intercooler showed a huge increase compared to the stock intercooler. This is reflected in the benefits we saw from testing. Now, let’s evaluate power output. Check out the plot below. 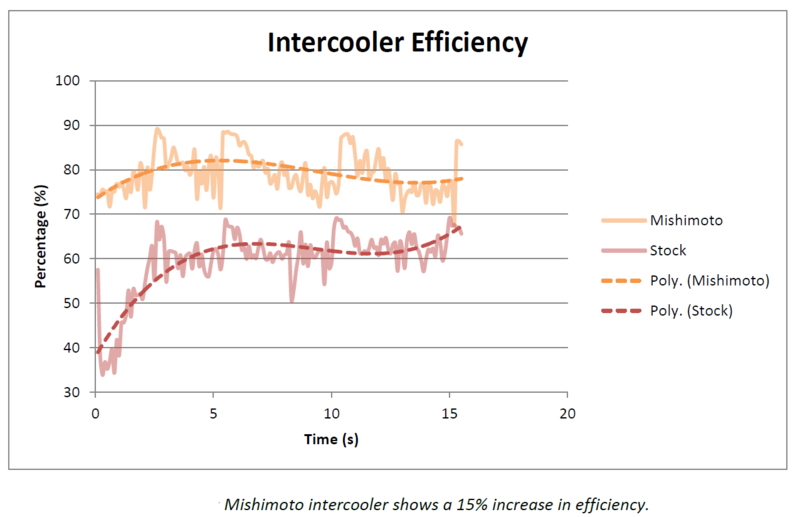 This plot shows that the Mishimoto intercooler provided gains of 4–5 whp compared to the stock intercooler throughout the run. Although this may not seem like a huge number, keep in mind our primary goal with this product is to decrease intake temperatures. 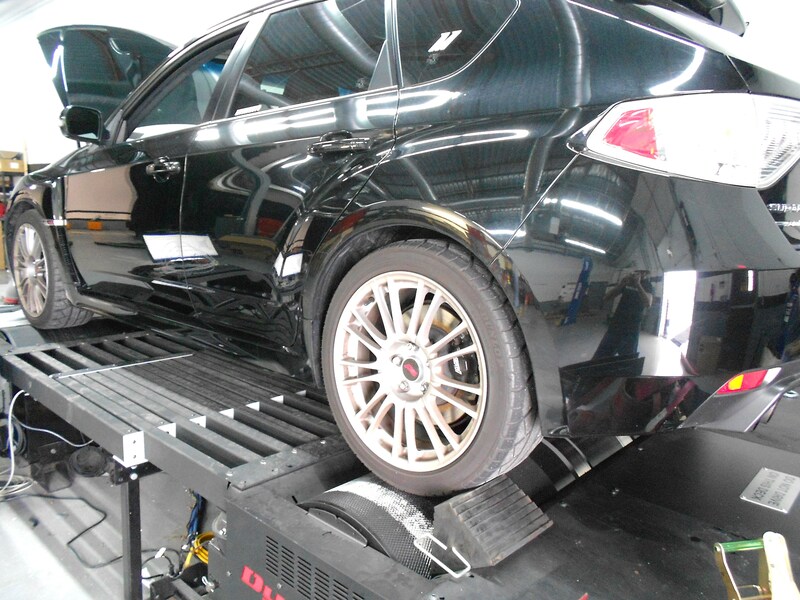 Doing so will allow for more aggressive tuning and therefore improved power output. So, how did we do with our temperature data? 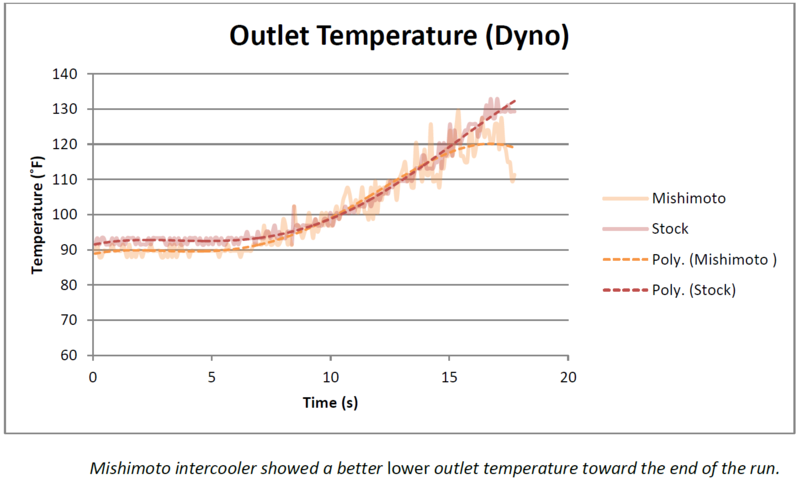 Check out the data below from our dyno testing. After reviewing the results, we were not entirely pleased with the temperature benefits of our cooler. As you can see, temperatures are relatively close, with the Mishimoto unit providing gains only toward the end of the run. 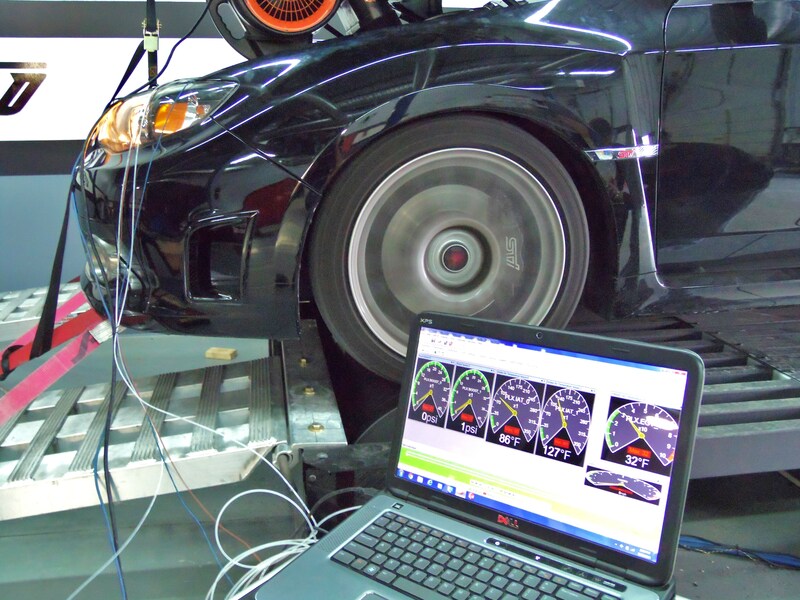 This test was compiled on a dyno with a blower fan providing 40 mph of airflow. After reviewing the data and discussing it with the team, we decided it was necessary to perform some road testing to determine if airflow was limiting the efficiency of our intercooler design. All testing was performed on a closed course, with pulls made from first to third gear using all the same equipment used on the dyno. These are the gains we were looking for! During the first to third gearpulls we saw an average drop in temperatures of 10°F. Now that we had concrete, real-world testing data, we could evaluate the efficiency of our cooler against the stock unit. Gains in efficiency totaled 15%, which are great numbers for a TMIC. Lastly, we needed to check our pressure drop across the core to be sure we were not overworking the turbo to obtain the temperature drops. 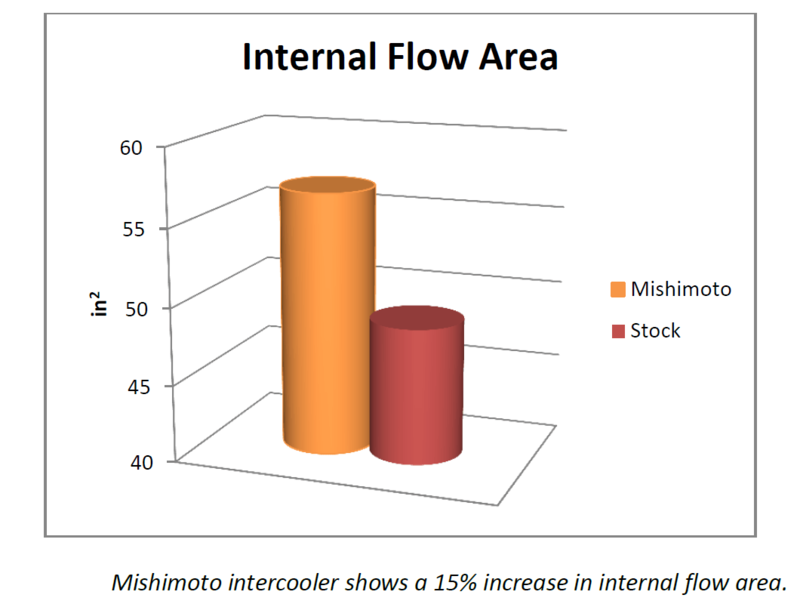 As you can see, the Mishimoto intercooler follows the stock pressure rather closely, with decreases limited to about 0.25 psi. This is an acceptable number considering the increased heat transfer and density of our core. Now that our data is compiled and deemed successful, our last task is to review our initial goals to be sure we could close the book on this project. 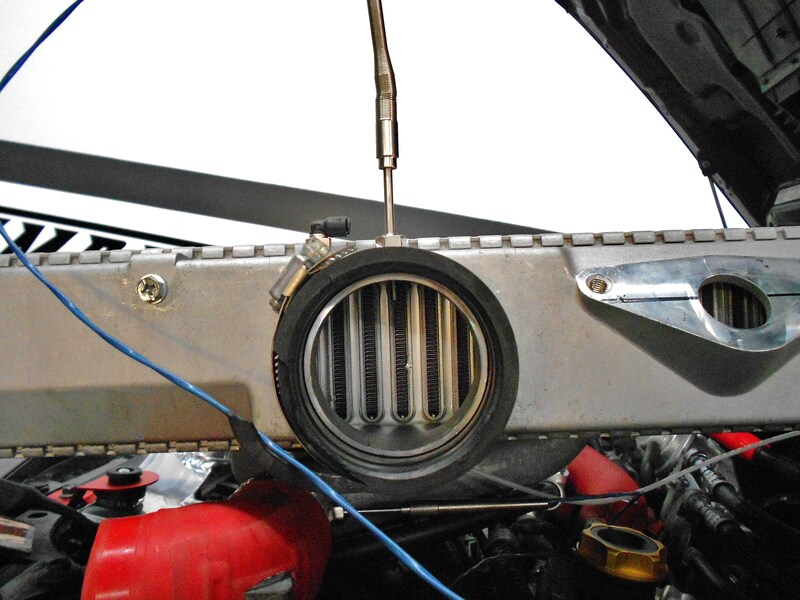 This intercooler is a direct fit and requires no cutting or drilling on your WRX. We include new gaskets for installation as well as a new silicone PCV hose that runs across the front of the cooler to replace the stock metal line. Installation is quick and requires only normal hand tools. With the added volume and core density of the Mishimoto intercooler, our engineers have given the “thumbs up” for vehicles up to 400 whp. 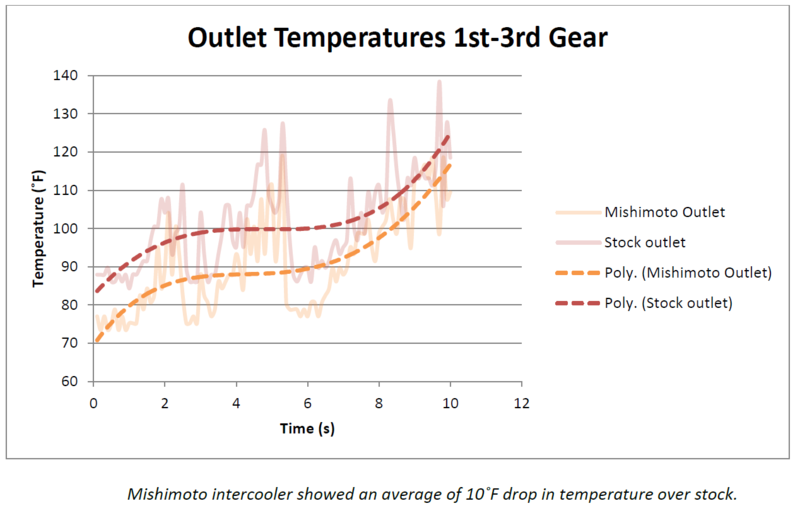 Our road testing showed an average IAT decrease of 10°F when using the Mishimoto TMIC. 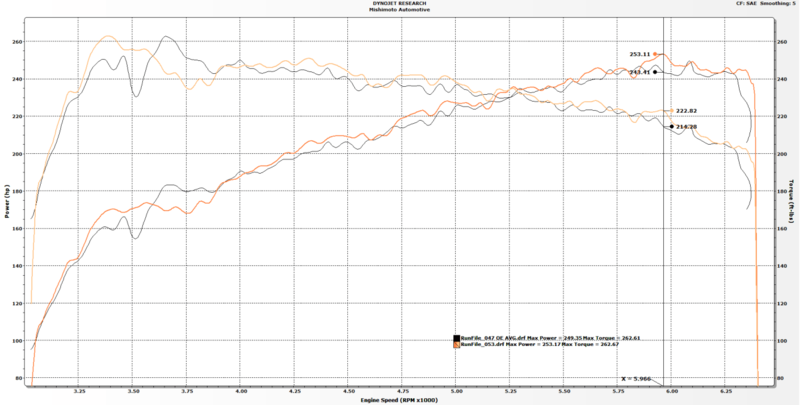 On a higher-horsepower/boost vehicle our engineers estimate even greater performance gains compared to the stock cooler. Core volume was increased by 39% compared to the stock tube-and-fin intercooler. 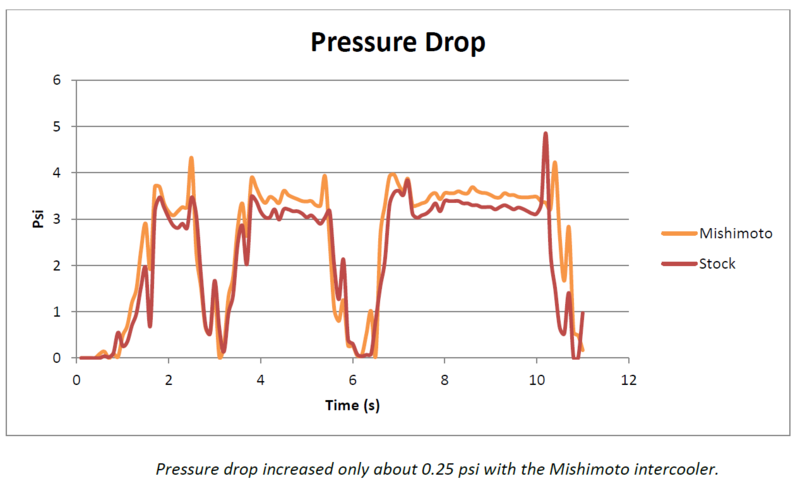 Our testing showed that the Mishimoto TMIC had average increases of 4–5 whp across the entire rpm range. Additional power is certainly possible with tuning. That’s it for the Mishimoto 2008–2014 STI TMIC! This is a great cooler that will provide substantial benefits to both stock and modified vehicles. Thanks for reading, and be sure to check out our blog at the link below for updates on our new front-mount intercooler design! 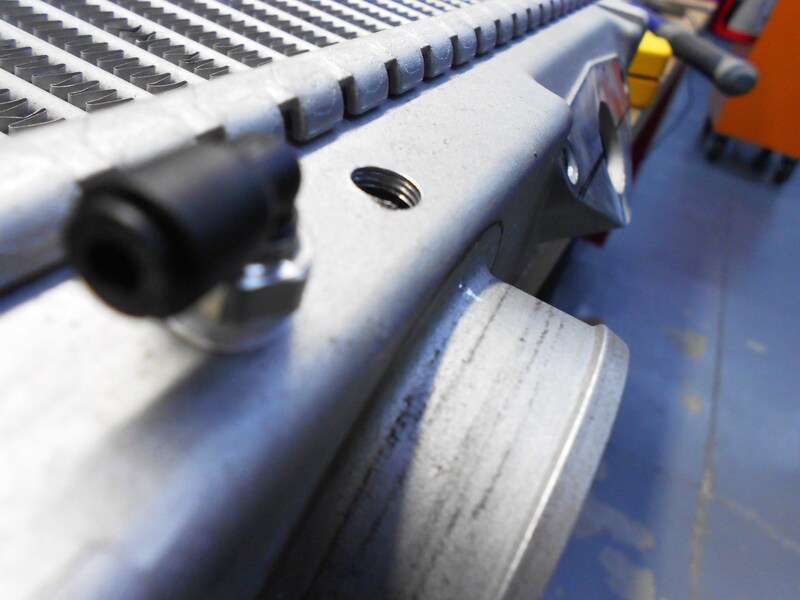 Previous Post2008–2014 Subaru STI Performance Top-Mount Intercooler, Part 3: Prototype and Stock ComparisonNext Post6.4L Powerstroke Maintenance You Must Perform! When will this be ready for purchase? I have a 2008 legacy gt and want to buy one. Thanks for reading and thank you for the interest! This intercooler is officially available to the public. Check it out at the link below and check with your favorite vendor for the best available pricing! Let me know if I can answer any additional questions! 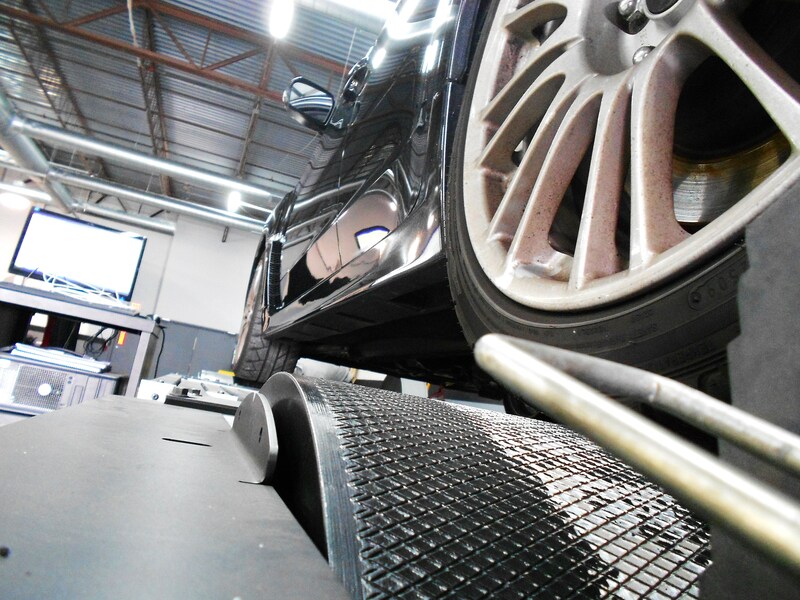 How does your top mount intercooler perform during daily driving in traffic? I’ve read that TMIC are susceptible to heat soak. Thanks! Top-mount intercoolers are certainly more susceptible to engine bay heat-soak, thanks to their location hovering above the turbocharger/exhaust. The road-testing you see in this post should reflect any heat-soak data, as these pulls were completed after idling for some time. 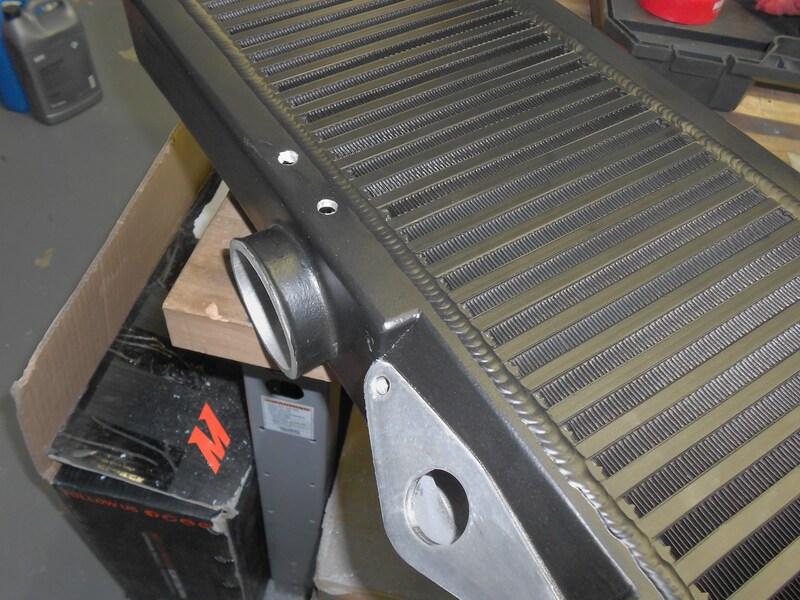 This cooler will heat-up as the stock one does, however thanks to its aluminum construction and large core, it will recover to a much lower temperature and do so much quicker than the factory intercooler. This will help to reduce the effects of heat-soak on your inlet temperatures. Which turbo did you use on this test? Will it beneficial to use on a stock turbo? All of our R&D was done using the stock components, so any reported gains will be relevant to a stock setup.